This goes back to my childhood days. SKF has always been a synonym for highest quality. Their excellence in making ball-bearings broke my wrist and gave me tremendous joy. I grow up in the city of Schweinfurt, a capital for ball bearings. SKF and Kugelfischer both had big plants here, and kids played with steel balls. In the early 70s, SKF went even so far to manufacture a complete skateboard for the German market. Talking about quality? 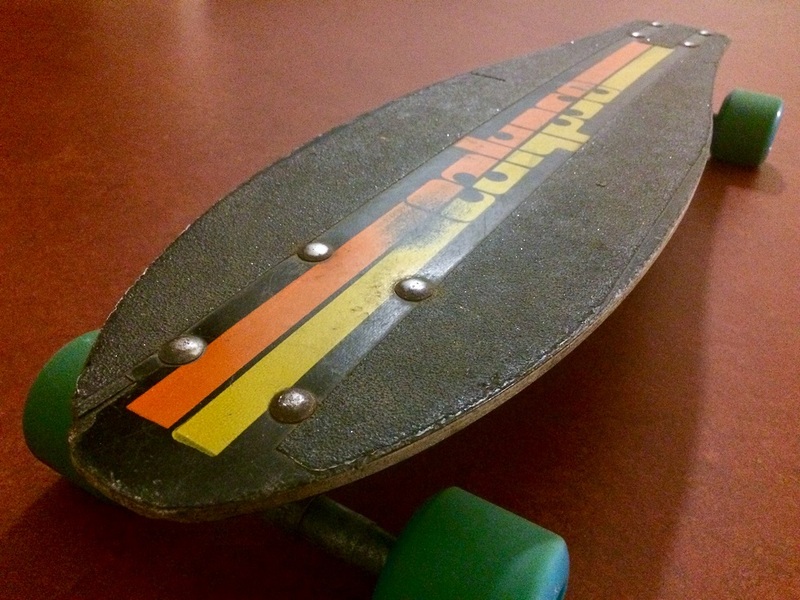 My old SKF Calypso slalom board is riding the streets 40 years later, still. As SKF puts it on their website: “Skateboarders are bearing eaters because of shocks, falls and tough use“. For a company like SKF, to remain a leader in quality and efficiency over so many years (not just for skateboards), required constant innovation. As 2017 is almost done, I have to share this video on SKF – both as a recap of so many fascinating encounters and discussions with bright people in innovation discussions & workshops around the globe, and as my main learning of the year. The innovation methodology is super-helpful, the tools to rapidly build & test support iterative, fast-paced learnings, and the innovation platform enables moving from a PoC to an enterprise scalable solution. But in essence, it’s the people (say SKF). you need to also have a people-centric approach. Neither is intuitive or easy, especially for engineers and IT people. The right people are not the super-users, or the business leads. They are the folks on the shop-floor, at the machine, the quality engineers – or even externals. Whoah, wait a minute. This is risky. I do remember as if it was today how a CIO shared his story at the AppHouse in Palo Alto. He (himself) went to the street to interview external workers about their needs, fears, issues. If you want to solve the users issues, ask them. This is outside the comfort zone but highly rewarding. Admittedly, I have also been in rather less effective innovation workshops where the IT tried to come up with ideas to problems they vaguely understood. Even with best methodology, the results won’t resonate with the real users. Empathy (I like this much more than “people-centric”) means to take the time to listen (with a bunch of good questions & the humbleness to admit that the user knows the problem best). I find this embarassingly difficult. My engineering background (and my impatience) switches to a problem solving mode half way into the story. Methodologies like asking “why” multiple times help me to re-focus. But it is an uphill battle, at least for me. Just the people won’t do it either. So, there is a methodology, tools and a platform behind this. The SKF story in the video showcases the essential steps very nicely. I wish you all a brilliant holiday season, and skate well into 2018.